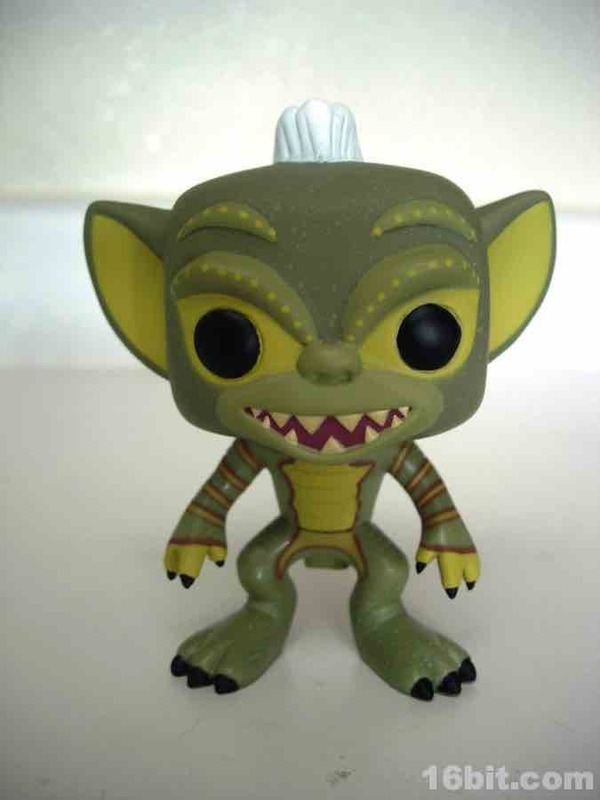 While not explicitly named Stripe on the box, this Gremlins Pop! 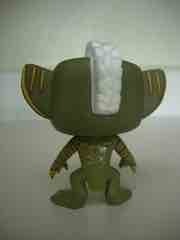 Vinyl Figure is pretty much a clear-cut replica of the little guy due largely to his distinctive hair. 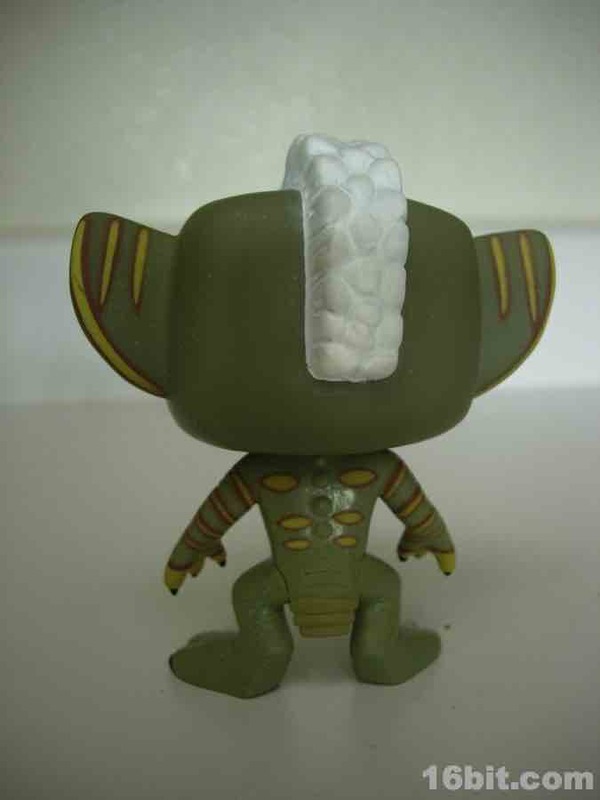 The white tuft in the middle of his head is pretty unique to the character, plus if you're going to do a gremlin from the first movie, why not do the most recognizable one? 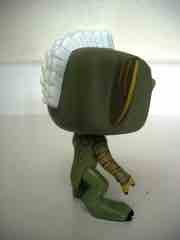 At about 4-inches tall, this vinyl figure is articulated only at the neck. His head can swivel, and that's about it-- no arm movement, no accessories, and frankly, there's not a lot to this figure other than style. Given the asking price, though, it's a pretty good buy-- under $10 for a nicely sculpted figure that's in the style of other lines like Mighty Muggs. Rather than use one body type and repaint it, Funko sculpted ridges on his back, distinctive claws on his hands and feet, and even a little tail hanging off his backside. Even though Funko probably could have taken a single body and repaint it with this line, they didn't-- and that's pretty impressive in this era of consistently recycled tooling. Right now, this figure is available pretty much only online or in select specialty shops. (Check your phone books, I guess.) In addition to Gremlins, Funko has figures out for Beetlejuice, Superman, Ozzy Osbourne, Public Enemy, KISS, The Ramones, and tons of other licenses. 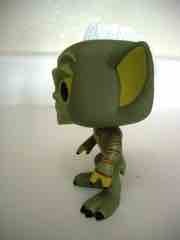 A Gizmo is expected soon, to continue the Gremlins line-up.